Miguel Roig-Francolí, Ph.D., Distinguished Teaching Professor of Music Theory and Composition, has been recognized internationally for his work as a music theorist, composer, musicologist and pedagogue. His research interests include Renaissance instrumental music and history of theory, the music of Tomás Luis de Victoria, twentieth-century music, and music theory pedagogy. At CCM, he regularly teaches history of theory, sixteenth-century counterpoint, post-tonal theory, music theory pedagogy, and a seminar on the analysis of early music. He is the author of Harmony in Context (McGraw-Hill, 2nd edn., 2011) and Understanding Post-Tonal Music (McGraw-Hill, 2007; Chinese translation, Beijing: People's Music Publishing House, 2012). He has published over twenty articles and reviews in Music Theory Spectrum, Journal of Music Theory, Early Music, Revista de Musicología, Notes, Indiana Theory Review, Journal of Musicological Research, College Music Symposium, Analisi: Rivista de Teoria e Pedagogia Musicale, New Grove Dictionary of Music and Musicians, Diccionario de la música española e hispanoamericana, and several collections of essays. He has presented papers at numerous conferences, including several annual meetings of the Society for Music Theory, American Musicological Society, and Music Theory Midwest. Roig-Francolí has also taught at the Eastman School of Music, Northern Illinois University, Indiana University, and Ithaca College, and has been invited to lecture internationally at the Universidad Complutense de Madrid, Shanghai Conservatory, and EAFIT University in Colombia. He is currently on the editorial board for the Journal of Music Theory Pedagogy. Roig-Francolí’s compositions have been widely performed in Spain, England, Germany, Mexico, Italy, Switzerland, Colombia, France, and the U.S., including a 2013 monographic chamber concert at Weill Hall (Carnegie Hall), and he has held commissions from the National Orchestra and Chorus of Spain, Spanish National Radio, Fundación Juan March, Rawlins Piano Trio, Institut Ramon Llull, and the Foundation for Iberian Music (CUNY). His compositions are published by EMEC, Piles, Fundación Juan March (Madrid), and Perennis Music Publishing. Among his many honors are first prize at the National Composition Competition of the Spanish Jeunesses Musicales (1981) and second prize at the UNESCO International Rostrum of Composers (Paris, 1982), both for Five Pieces for Orchestra; the Dean’s Dissertation Prize, Indiana University (1991); the Dana Research Fellow Award, Ithaca College (1992); grants from the US-Spain Joint Committee for Cultural and Educational Affairs, Spanish Ministry of Culture, Ithaca College, Northern Illinois University, and the University of Cincinnati; the Medal of Honor from the Superior Conservatory of Music of the Balearic Islands (2004); the University of Cincinnati’s A.B. 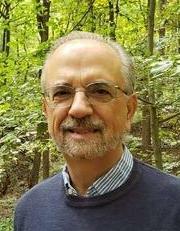 "Dolly" Cohen Award for Excellence in Teaching (2007) and George Rieveschl Jr. Award for Creative and/or Scholarly Work (2009); 2010 Ramón Llull Prize of the Government of the Balearic Islands (Spain); and the 2013 Distinguished Teaching Professor Award from the University of Cincinnati. MM, Indiana University, Bloomington, IN, 1985. PhD, Indiana University, Bloomington, IN, 1990. Título Superior de Composición, Madrid Royal Superior Conservatory, Madrid, Spain, 1988. Título Profesional de Piano,, Professional Conservatory of the Balearic Islands, Majorca, Spain, 1982. Miguel Roig-Francolí (2010). Semblanzas de Compositores Españoles: Antonio de Cabezón (1510–1566). Revista de la Fundación Juan March (393), 2. Miguel Roig-Francolí (2007). Reply to Ryan McClelland’s article ‘Teaching Phrase Rhyhtm through Minuets from Haydn’s String Quartets,&apos; vol. 20, 2006. Journal of Music Theory Pedagogy (21), 179. Miguel Roig-Francolí (2001). A Theory of Pitch-Class-Set Extension in Atonal Music. College Music Symposium (41), 57. Miguel Roig-Francolí (2000). Paradigms and Contrast in Sixteenth-Century Modal Structure: Commixture in the tientos of Antonio de Cabezón. Journal of Musicological Research (19), 1. Miguel Roig-Francolí (1998). Dos tientos de Cabezón basados en tonos del Magnificat. Revista de Musicología (21), 1. Miguel Roig-Francolí (1995). Teoría, análisis, crítica: Reflexiones en torno a ciertas lagunas en la musicología española. Revista de Musicología (18), 11. Miguel Roig-Francolí (1995). Harmonic and Formal Processes in Ligeti&apos;s Net-Structure Compositions. Music Theory Spectrum, 17 (2), 242. Miguel Roig-Francolí (1995). Playing in Consonances: A Spanish Renaissance Technique of Chordal Improvisation. Early Music, 93. Miguel Roig-Francolí (1994). Modal Paradigms in Mid-Sixteenth-Century Spanish Instrumental Composition: Theory and Practice in Antonio de Cabezón and Tomás de Santa María. Journal of Music Theory, 38 (2), 247. Miguel Roig-Francolí (1992). En torno a la figura y la obra de Tomás de Santa María: Aclaraciones, evaluaciones, y relación con la música de Cabezón. Revista de Musicología, 15 (1), 55. Miguel Roig-Francolí (1988). Bass Emancipation in Sixteenth-Century Spanish Instrumental Music: The Arte de tañer fantasía by Tomás de Santa María. Indiana Theory Review (9), 77. Miguel Roig-Francolí Harmony in Context. New York: McGraw-Hill. Miguel Roig-Francolí (2008). Understanding Post-Tonal Music. Boston: McGraw-Hill. Miguel Roig-Francolí (2008). Anthology of Post-Tonal Music. Boston: McGraw-Hill. Miguel Roig-Francolí Los tientos 68, 65 y 67 de Obras de música: Estudio analítico de tres obras maestras de Cabezón. Antonio de Cabezón: Obras de música para tecla, arpa y vihuela, vol VI, Estudios Zaragoza, Spain: CSIC. Miguel Roig-Francolí (2013). Tonal Structures in the Magnificats, Psalms, and Motets by Tomás Luis de Victoria. Estudios. Tomás Luis de Victoria. Studies. (pp.145). Madrid: ICCMU. Miguel Roig-Francolí (2004). Procesos compositivos y estructura musical: Teoría y práctica en Antonio de Cabezón y Tomás de Santa María. Políticas y prácticas musicales en el mundo de Felipe II (pp.393). Madrid: Instituto Complutense de Ciencias Musicales. Miguel Roig-Francolí (2013). Some Basic Principles of Good Teaching..
Loris Azzaroni (1999). (Rev. of Canone infinito). Analisi: Rivista di teoria e pedagogia musicale. (pp.24)..
Calvert Johnson, ed. (1995). (Rev. of Historical Organ Techniques and Repertoires: An Historical Survey of Organ Performance Practices and Repertoires. Vol. 1: Spain, 1550-1830). MLA Notes. (pp.297)..
György Ligeti (1994). Review of Apparitions and Macabre Collage. MLA Notes, 51 (1). (pp.421)..
Susan Ha, piano, Werner Hall, CCM, March 10, 2010. Orquesta Sinfónica de las Islas Baleares, Palma de Mallorca, Spain, November 25, 2010, Salvador Brotons, cond. Symphony Orchestra and Chorus of the City of Ibiza, Spain, conducted by Adolfo Villalonga, 21 December 2008 (premiere).